The basics of search engine optimization are, well, basic: Build good, easy-to-find content, and promote it via social media, and they will come. But there's nothing wrong with adding to your arsenal SEO tools that will help you create more targeted content and a more visible website. At a high level, rock-solid, "white hat" SEO basics don't vary widely. Create great content that viewers will want to link to via social media, blogs or other online sites. Make sure your content is easy to find with relevant keywords. Ensure that your website has no technical issues that could prevent search engines from indexing its content. But how exactly do you do this—and how do you measure success? That's where search engine optimization (SEO) tools come in. Nicole Munoz, CEO and founder of StartRankingNow, who recently offered a session on her favorite tools at the Online Marketing Summit in Santa Clara, Calif.
Google's free keyword tool is designed for those who write ads that run on Google's search engine results pages, in Gmail and on other affiliated sites. It provides information such as the domestic and international search volume for a given keyword phrase, how competitive the phrase is and related keywords. Google's tool is highly useful for any Web content developer, and it's one of the tools most SEO experts use regularly. 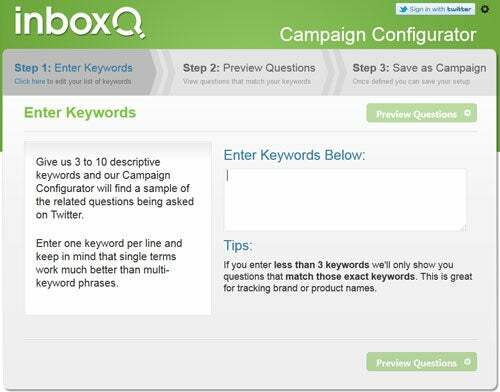 "It's pretty much the only tool I use or recommend for doing keyword research," Whalen says. McGee, Munoz, Whalen and many other SEO experts rely on Google's free site analytics tool. Whalen calls it "the most critical tool of all" because it helps you figure out why a site has lost—or gained—traffic. Google Analytics enables any website manager to see the keywords used to bring visitors to the site, the bounce rate for each site page, visitor demographics and lots more. Google Webmaster Tools, another essential and free toolset, helps you diagnose website crawl errors and perform other tasks to improve your site's "health." Though it's not particularly difficult to use, those without much website management experience may be a bit confused. YouTube videos can rank highly in Google searches when they're optimized with the appropriate keywords. Munoz recommends using this tool to find keywords that will help your YouTube videos rank in Google searches as well as in YouTube searches. Whenever you begin typing a keyword phrase in a Google search box, Google suggests related phrases based on your own search history as well as terms popular with other users. A quick way to get keyword ideas, then, is to simply start typing a phrase in Google to see what the search engine suggests, Munoz says. Screaming Frog's SEO Spider is a desktop program that sends a "spider" (or crawler) to a site and compiles a spreadsheet-like report on the pages it crawls. You'll see title tags, URLs, meta descriptions, meta keywords and H1 tags, as well as pages that might have 404 errors. Whalen uses the program whenever starting a new site review. "It helps me get an overall feel for the site and quickly shows me any major technical issues," she says. The basic program is free; the licensed version adds more features for £99 (about $150 U.S.) per year. Munoz recommends SpyFu, a keyword research tool that provides useful intelligence on the keywords your competitors are bidding on and/or using to rank in organic searches. The service costs $79 per month. Browseo (a mashup of the words "browse" and "SEO") helps you quickly determine a page's structure, as well as its relevance for specific keyword phrases. It's a fast way to get a helpful breakdown of a particular web page, Munoz says. Munoz recommends this software, available for Windows, Mac, and Linux operating systems, to analyze website content and help optimize each page for a particular keyword. It's available in free and paid versions—the latter of which, depending upon features, are $99.75 and $249.75. This Web-based tool will tell you all the places on the Internet where you may have duplicate content. Munoz says it's good for finding out if other sites have copied your content, too. Whalen uses this free tool to discover if a Web page has any type of redirects, adding that, "for SEO purposes, we like to see 301 redirects rather than 302s or any other kind." Enter a URL and Ahrefs's Site Explorer tool will show you its backlinks, or external links from other sites. "You can get a lot of that information also from Google Webmaster Tools these days, but I'll often find different ones showing up in Ahrefs that I may not have seen in Google Webmaster," Whalen notes. "I mainly use it to check if the website I'm reviewing has a lot of spammy links," which can cause a site to be significantly demoted in Google rankings. Google Chrome (as well as Mozilla Firefox) has a number of free extensions and add-ons designed to help with SEO. Whalen calls this "the best extension ever" for SEO consultants. "It outlines all links on a page that have the nofollow attribute on it. But even better is that it pops up a little window if the page you're looking at has a noindex tag on it," she says. "You wouldn't believe how many websites I find through this extension that are inadvertently blocking all search engines from being able to index them." With this free extension, you can quickly learn about a webpage, such as its PageRank, Alexa traffic ranking, backlinks and number of pages indexed by various search engines. The free TagAssistant reveals Google Analytics code errors on a website page. Whalen says this can come in handy when a site appears to have lost traffic. "Sometimes you'll find that the page didn't have the Google Analytics code, or it was on [the page] incorrectly." Whalen uses this free screenshot utility when performing SEO site audits. Because Awesome Screenshot lets you add arrows, circles and text, the tool makes it easy to capture a screenshot of a Web page and visually show a client where the trouble spots are. Once she captures the screenshots, she pastes them into Evernote, along with other notes about a site's SEO issues, and uses those notes to compile a report. Quora is a popular question-and-answer website McGee says he finds useful in developing blog topics. "A single topic can lead to several new ideas for blog content," he says. "Just browsing the questions for any given topic is great, but then reading the answers and discussions on certain questions is even better. It can also help you identify experts on certain topics that you may want to interview for articles. And there really is a solid variety of content there. It's long since stopped being just a mecca for tech-related Q&A." Google loves, and tends to reward, fresh content with higher search rankings. Blogging, of course, is an easy way to create that content. WordPress.org is the blogging platform many SEO experts use because, once you've set up the blog (which can admittedly be tricky) and found a Web host, it's simple. There are also countless free plug-ins to help you optimize each blog post, such as WordPress SEO and All in One SEO. Once your latest blog post goes live, it's time to publicize it on social media to attract traffic (and potential links). HootSuite is a social media dashboard that lets you schedule and simultaneously post updates to Twitter, LinkedIn, Facebook, Google+ and other social media networks. HootSuite offers free as well as paid plans (starting at $10/month). Some SEO experts also like Buffer, a similar service that posts to Facebook, Twitter, LinkedIn and App.net accounts.